The root thread worked fine on my K7, but i have a problem with folder mount app, it keeps telling me i'm using an unsupported superuser app, can't i install supersu through revovery rather than magisk or is there a complication? (04-17-2018, 09:18 PM)akinboluwarin Wrote: The root thread worked fine on my K7, but i have a problem with folder mount app, it keeps telling me i'm using an unsupported superuser app, can't i install supersu through revovery rather than magisk or is there a complication? I can't find install zi in recovery mode. any help? (07-18-2018, 03:25 AM)brvhprince Wrote: I can't find install zi in recovery mode. any help? 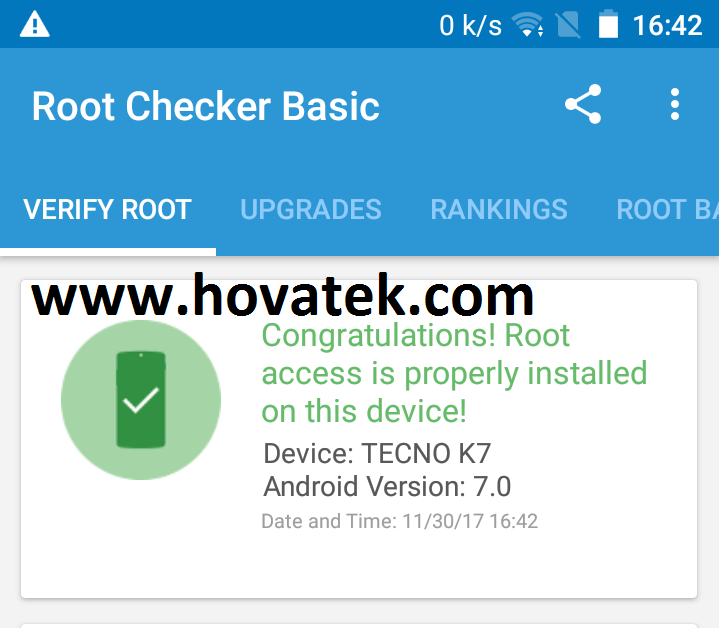 is your device Tecno K7? How can i flash the img file? theres only option for .bin file.